All of the above can be performed on site, giving you precisely what you require from your minutes almost instantaneously. Further to the above, we can also continue to work upon return to the office with the audio taken during your meeting, which gives you the option of having a more comprehensive transcript to supplement your minutes post event. Minute taking services providing same day delivery are more often summaries of the event which focus on key topics and highlights outlined by the client. However, once the audio is available, we can continue our work to provide you with a range of transcripts to suit the needs of the document and its intended audience. Our wide range of transcripts can be seen via our transcription style guide. 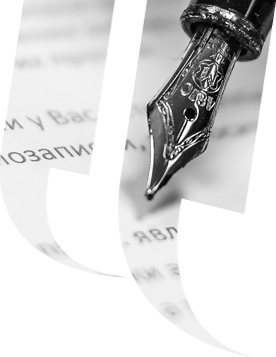 All writers undertaking minute taking services for Communique offer years of experience in assisting the UK's leading private, legal and public sector organisations during confidential meetings and proceedings. For confidentiality purposes, all of our staff members both in-house and subcontractors have signed our NDA. We are also happy to sign the same provided by our clients upon request. For further information regarding our minute taking services, please feel free to request a quotation or contact us.